Before Vail Resorts redeveloped Peak 8, nothing residential existed around the base area except Ski Watch condos. And you could, and still can, sit on the balcony and watch skiers carve turns, and gliding into the maze of the Colorado Superchair. The exterior was revamped in fit with the new construction carried out by Vail Resorts at the base of Peak 8, and all have a unique open bi-level floorplan. The second floor is an open loft that was designed to accommodate a family on a ski vacation. The Ski Watch condos for sale have a couple of outdoor hot tubs, ample surface parking for guests, and some underground parking is also included with homeownership. Keep reading about this amazing development, or discover the available Ski Watch condominium listings found below. Although the highest priced real estate at the Peak 8 base will be found in One Ski Hill Place and other new lodges, Ski Watch condo community still has a ski-in and ski-out location that rivals its new neighbors. The popular Peaks Trail that connects Breckenridge and Frisco start a short way from Ski Watch, and the gondola from town terminates nearby. Skiing, biking, hiking, or running can also start right out the door. Size: 907 sq. ft to 1557 sq. ft. Amenities: directly on the slopes of Peak 8; easy access to the top of the gondola. If you’re skiing on Peak 8, you just veer off before you reach the lift to find Ski Watch, but if you’re coming by car take Ski Hill Road and pass the turn to Peak 7, continuing on the left fork of the road around the Bergenhof. Ski Watch is just a few yards ahead on the left. Contact us today and take the first step in your home ownership journey. 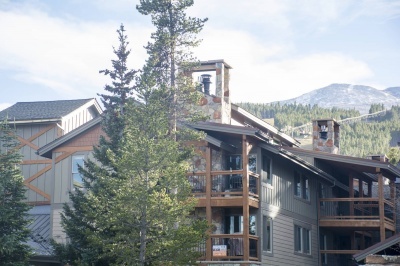 We can't wait to help you find your dream home in Breckenridge.